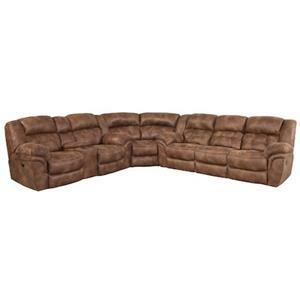 The Sierra Reclining Sofa & Loveseat Set by Comfort Living at Rotmans in the Worcester, Boston, MA, Providence, RI, and New England area. Product availability may vary. Contact us for the most current availability on this product. 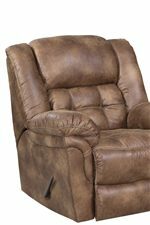 Extra-plush seats and durable, kid-friendly faux leather make this collection an ideal seating choice for busy households and party-loving man caves. 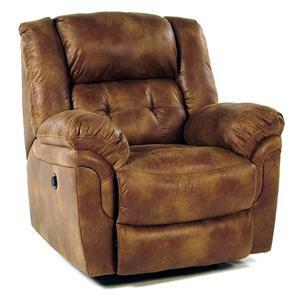 Recliner, reclining loveseat with console, and reclining sofa are all outfitted with 100% polyester faux leather in an earthy tan color, finished off with plump headrests and double-needle topstitching. 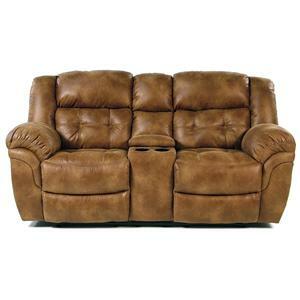 Power recline is available on all pieces except the console loveseat. 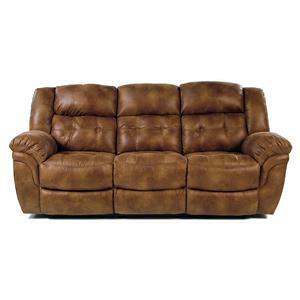 Recline in casual comfort with this exceptional furniture group. The Sierra collection is a great option if you are looking for Casual furniture in the Worcester, Boston, MA, Providence, RI, and New England area. Browse other items in the Sierra collection from Rotmans in the Worcester, Boston, MA, Providence, RI, and New England area.